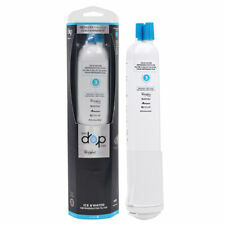 EveryDrop Filter 1 replaces Filter W10295370A. Replaces Model Number W10295370A. Our advanced generation of ice and water refrigerator filters are certified to reduce the most contaminants — using Triple Filtration Technology. 4396841b,2305267,2305222,95357630. Model:4396841A,4396841B Whirpool. 1) Flat fee shipping. Buy more and save more. 2) "Expedited Shipping" with Canada Post. Fast and reliable. Model:Whirlpool 8171414. This 8171414 replacement refrigerator water filter fits Whirlpool & KitchenAid refrigerators with a round plastic filter located inside the refrigerator compartment. 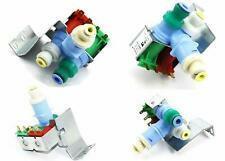 Part may differ in appearance but is a functional equivalent to parts EDR2RXD1,W10413645A. 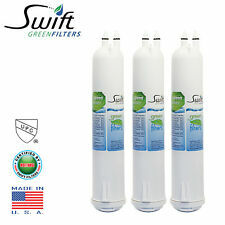 Kenmore water filter 9082 has NSF 42, 53 and 401 certifications. Water filter 9082 is for select Kenmore bottom-freezer refrigerators. Its comparable with the following part numbers: EveryDrop 4396710P 8212650 T2RFWG2 EDR3RXD1 4396711 9020 T2WG2L PUR 4396841 9030 W10121145 W10186667 4396841B P2RFWG2 W10121146 Whirlpool 4396841P PBSS W10193691 4396710 4396841T T1RFKB1. New Whirlpool Ice Maker Filter (2 pack) ICE2 F2WC9l1. Brand new in the plastic wrappers. 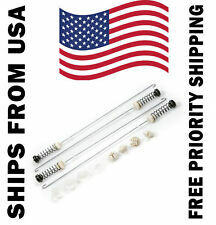 Free standard shipping in the lower 48 states by the cheapest method. If you have other shipping needs I'll try to accommodate. Outside the lower 48 or international ask for a quote. Payment by Paypal only, I'll ship same business day if purchased before 12 noon eastern time. No returns accepted on this item. W10683603 W10423125. All parts are inspected for signs of installation upon our receipt of them. REPLACES PART NUMBERS This is to insure that we can file a claim with the carrier when applicable. 1-Opened Box With Sealed Filter. 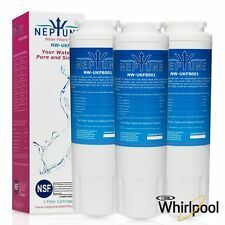 Whirlpool Refrigerator water filter Waterfall WFC3401 new in pkg. Condition is New. Shipped with USPS Priority Mail. 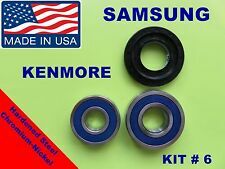 The Part number is1320547 (also 1320-547). And I will share with every one know how greatly I was treated buy every one there! This is to insure that we can file a claim with the carrier when applicable. Trending at C $46.76eBay determines this price through a machine-learned model of the product's sale prices within the last 90 days. 1186275 37TA32 3144 F45-13F J0204. PART NUMBER 1183833. PART PULLED FROM A CLEAN USED DEHUMIDIFIER. PART WAS FUNCTION TESTED AND IS WORKING. CHECK THE NUMBER ON YOUR PART FOR PROPER APPLICATION. COMPRESSOR OVERLOAD. PART OR APPLIANCE WAS TESTED AND WORKING BEFORE PART WAS PULLED. 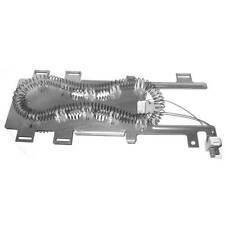 PART PULLED FROM A CLEAN USED DEHUMIDIFIER OR AIR CONDITIONER. CHECK THE NUMBER ON YOUR PART FOR PROPER APPLICATION. · Porcelain Broiler Pan and Grill. · Color: Black Porcelain. · Designed to drain juices. The right part at the right price! W10275048 W10350485. All parts are inspected for signs of installation upon our receipt of them. COMPRESSOR OVERLOAD. OVERLOAD ONLY! COMPRESSOR NOT INCLUDED. CHECK THE NUMBER ON YOUR PART FOR PROPER APPLICATION. AIR CONDITIONER LCDI GFI POWER CORD. GFI PLUG IS 18A, 240VAC, 4320 WATT. THIS CORD WAS CUT FROM AN AIR CONDITIONER AND HAS BARE WIRE ENDS ONLY. PART WAS CUT FROM A CLEAN USED AIR CONDITIONER. THIS IS A 240 VOLT POWER CORD! Whirlpool 2187172 Shelf for Refrigerator. Works with the following models: Whirlpool 3KED0FHQKQ00, Whirlpool 3KES0GTKNL00, Whirlpool 3KES0GTQNL00, Whirlpool 3MAS1432GW0, Whirlpool 3XED0FHQKB00, Whirlpool 3XED0FHQKB01, Whirlpool 3XED0FHQKQ00, Whirlpool 3XED0FHQKQ01, Whirlpool 3XES0GTKNL00. FSP 851054. COMPRESSOR OVERLOAD. PART OR APPLIANCE WAS TESTED AND WORKING BEFORE PART WAS PULLED. PART PULLED FROM A CLEAN USED DEHUMIDIFIER OR AIR CONDITIONER. CHECK THE NUMBER ON YOUR PART FOR PROPER APPLICATION. All parts are inspected for signs of installation upon our receipt of them. This is to insure that we can file a claim with the carrier when applicable. Whirlpool 8547174 Idler Pulley for Washer. Cabrio wgd6200sw1. model wgd6400sw0 cabrio. Whirlpool Cabrio Dryer Model Number WED6400SW0. Whirlpool Cabrio WTW6500WW1. Whirlpool WED6400SW1. cabrio model wed6400swo. Latest Part Number From Manufacturer ->WP9708180, All Other Cross Reference Numbers And Supercedures ->AP6013766, 9708180, 9705336, 9706328. OEM Quality. WARNING: This product contains chemicals known to the State of California to cause cancer and birth defects or other reproductive harm. PART NUMBER 1182783. 805NFBZZ-53 FEH2L. DEHUMIDIFIER COMPRESSOR OVERLOAD. PART PULLED FROM A CLEAN USED DEHUMIDIFIER. WHIRLPOOL AND OTHERS. CHECK THE NUMBER ON YOUR PART FOR PROPER APPLICATION. Latest Part Number From Manufacturer ->WP9708833, All Other Cross Reference Numbers And Supercedures ->AP6013775, 9708833, 9703685, 9707676. OEM Quality. This is REQUIRED by law. All Warranties require a model number and serial number off of the appliance they were installed on. Has a square pattern inlaid into the glass. Every part you buy is one less part in the land fill and one less part that has to be manufactured (using raw materials and energy). Fits M167 and others (hint use Ctrl F to find your range if needed). COMPRESSOR OVERLOAD. CHECK THE NUMBER ON YOUR PART FOR PROPER APPLICATION. W10130108 W10204250. It replaces the old part numbers listed below. OEM Quality. This part number has changed over the years. This is REQUIRED by law. The product uses ice to powerfully chill the cold water many degrees colder than normal water coolers. Its hot water is precisely maintained at a temperature ideal for making teas of various kinds. This Whirlpool water cooler is engineered to last for years of constant use. We trust our products, and want to pass that peace of mind on to you. That's right, we've got you covered even after the manufacturer's warranty expires! All you have to do is use our filters. If your air purifier breaks while using our filter, up to 1 year after the manufacturer's warranty expires, we'll repair or replace the air purifier for you. W10140611 WPW10140611. This is a stove/oven/burner hot surface ignitor. This is to insure that we can file a claim with the carrier when applicable. For Everybody!